It is the goal of the University of Michigan to recover full costs of each sponsored project where permitted by the sponsor's policies. Full costs are those that can reasonably be associated with and allocated to a particular project. 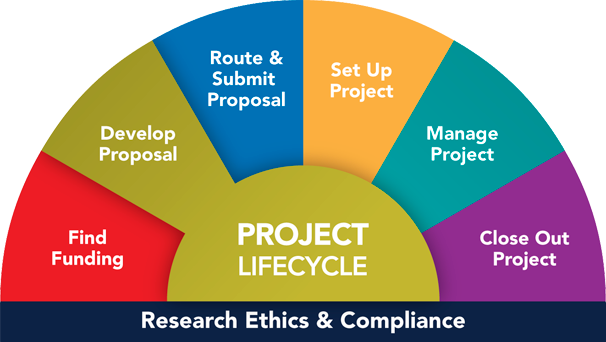 They include costs that are generally treated as direct (costs that can be readily and specifically identified with a particular sponsored project relatively easily with a high degree of accuracy) and facilities and administrative costs (sometimes called F&A, indirect, or IDC), which are incurred for common or joint objectives and, therefore, cannot be identified readily and specifically with a particular sponsored project). Space may be allowable as a direct cost for non-federal sponsors, depending on the sponsor requirements. Periodically, the Department of Health and Human Services (acting on behalf of the federal government) and the University negotiate an agreement setting forth indirect cost rates for three types of sponsored activities: organized research, instruction, and other sponsored activities. The agreement specifies the rates at which the University can recover its indirect costs associated with projects sponsored by all agencies of the federal government. Charging rents or space or square footage may be allowable for non-federal sponsors, and could be helpful in recovering full costs on a project. Non-federal sponsors (i.e., private sponsors, whether industry or non-profit) are not bound by the terms of UG monitored costs and are not necessarily guided by the principle of full cost recovery for the University. In particular, many private sponsors do not reimburse U-M for its indirect costs; they prescribe indirect cost rates considerably lower than those set forth in the rate agreement with the federal government (view Indirect Cost Rates). In some instances, these lower indirect cost rates are linked to a funding agency's operating philosophy of partnering with the University in developing new programs. In the majority of cases, however, it is simply an administrative decision on the part of the sponsor not to honor the University's established indirect cost rate agreement. For a sponsored project that (1) is funded by a non-federal agency (with non-federal funds), and (2) does not include indirect cost recovery at the prevailing federal or industry rates, it is permissible to recover through direct charges, costs that can be attributed to that project, but that otherwise typically are treated as indirect. In all cases, the services or items being charged must be allowable under University policy, must be associated with that specific project, and their costs must be proportionate to the level of their use on that project. Examples include clerical and administrative salaries; space/facilities; routine postage; telephone line rental; memberships; subscriptions; and local area network expenses. The source of funding is non-federal. The charge has explicit approval from the sponsoring agency. The charge reflects the amount of space used and is pro-rated for the time period over which the space will be used. Sponsored Programs will charge the project manually via journal entry. Though not a requirement, ORSP encourages that budgets also recover the administrative component (29% or see current rate) and the library component (1.8%) of the F&A rate. If space is charged directly to a sponsor, the percentage of the room devoted to the project being charged must be added as "room use function code 1102" in the annual U-M space survey. This will ensure that the space gets excluded from the research IDC rate.